The thyroid gland is responsible for the production of thyroid hormone which regulates growth and development, heart rate, body temperature, and normal function of the body. It releases hormones that control metabolism-the way your body uses energy. Disorders of the thyroid gland may cause an overproduction or underproduction of thyroid hormones. Depending on how much or how little hormone your thyroid produces, you may often feel restless or tired, you may lose or gain significant amounts of weight, or you may have feelings of anxiety or depression. Other symptoms may include, irregular menstrual periods, sensitivity to cold or hot temperatures, or joint and muscle pain. 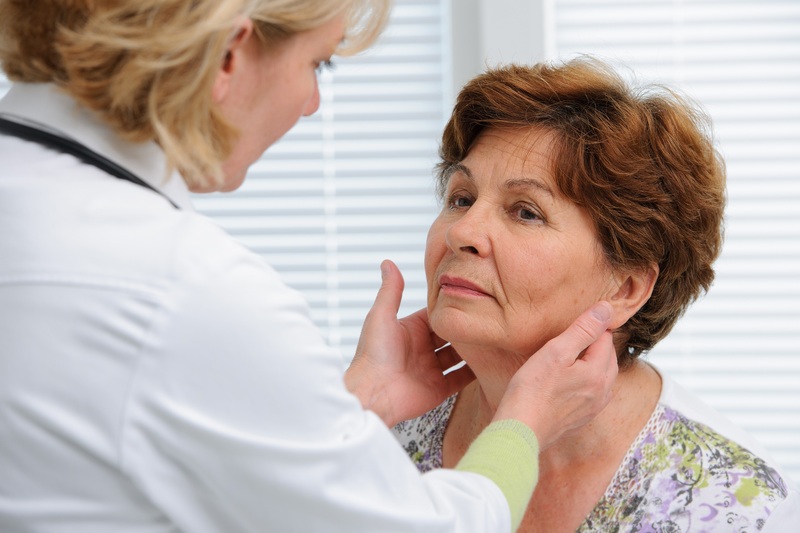 For thyroid disorders stemming from the overproduction or underproduction of thyroid hormones, treatment varies and may include monitoring thyroid function, medications, surgery, ultrasound, or radioactive iodine. A thyroid ultrasound is a painless procedure that uses sound waves to generate images of the thyroid gland within the neck. 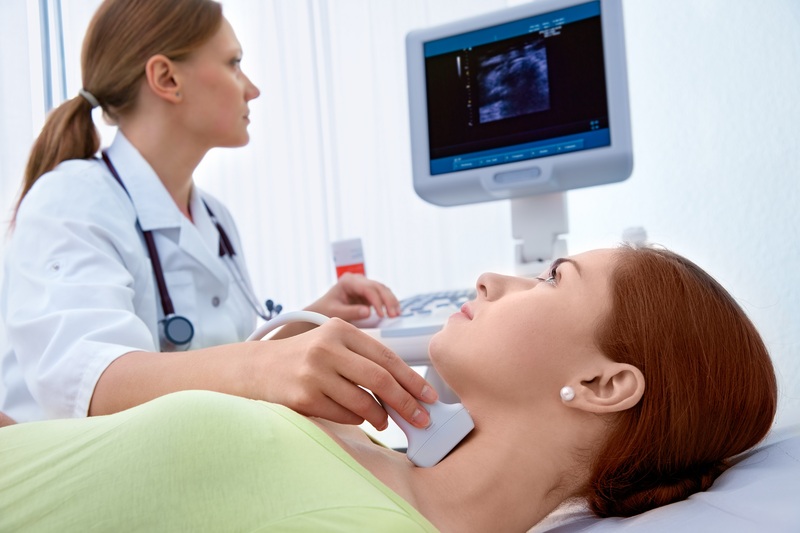 A thyroid ultrasound may be recommended to our patients if deemed necessary by your provider. When preparing for an ultrasound, please leave necklaces/chains at home and wear comfortable clothing to make it accessible to examine the thyroid gland. A thyroid biopsy is an ultrasound guided procedure in which a small sample of cells are removed from the thyroid gland to determine any thyroid abnormalities. This procedure requires little to no special preparation. When preparing for a biopsy, please leave necklaces/chains at home and wear comfortable clothing to make it accessible to examine the thyroid gland. Quality comprehensive care environment that is convenient and able to provide a continuum of care. Ultrasound guided FNA biopsy of thyroid cysts and/or nodules. Local anesthetics to help reduce any discomfort prior to the biopsy. All ultrasounds and ultrasound-guided procedures are performed by trained and skilled sonographers specializing in the needs of our thyroid patients. If you have any questions regarding our thyroid disorder treatments and services or you would like to schedule an appointment with our medical staff, please contact us at 770-389-9494 today. Eagle's Landing Diabetes & Endocrinology provides thyroid disorder treatments and endocrinology care to Stockbridge, McDonough, Fayetteville, Riverdale, College Park, Locust Grove, Conyers, and the greater Atlanta, GA area.